Holy Moly! Only six weeks to Christmas?!? Are you as surprised and hopelessly unprepared as I am (like… every year anew)?? 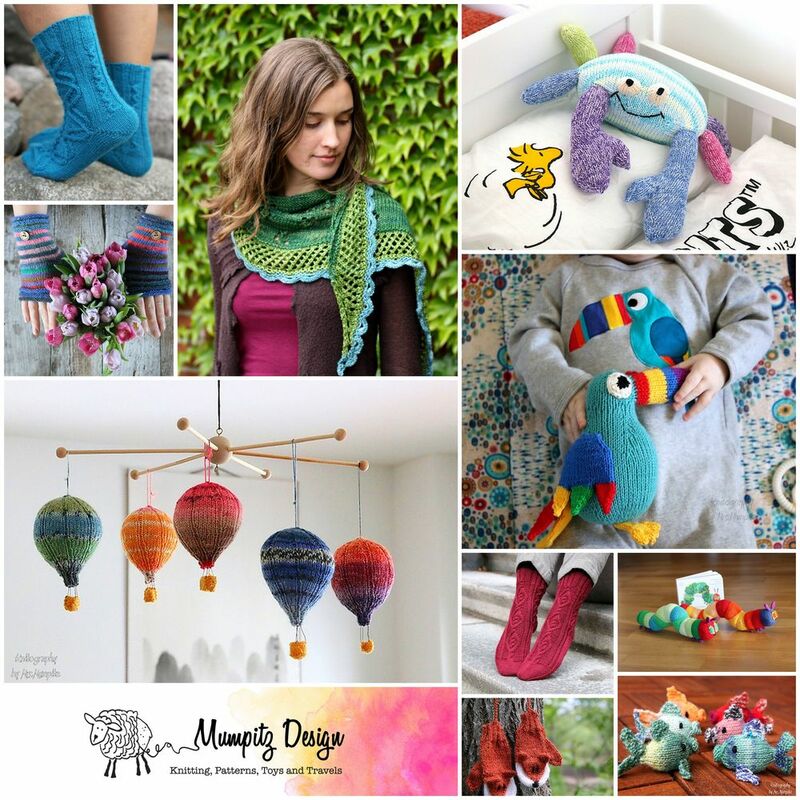 Then it’s about time to join our huge Indie Design Gift-A-Long on Ravelry! From the 23rd of November it’s ON! Get ready now and fire up your stash as this year will be HOT! Like last year’s Gift-Along (GAL) (and the 5 before), this year will give you: a huge list of independent designers, 6 weeks of KAL/CALs, tons of patterns at 25% discount and crazy many prizes to win with almost 10000 people worldwide participating! That’s crazy!! 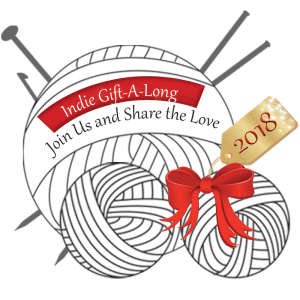 Join the INdie Giftalong 2018! 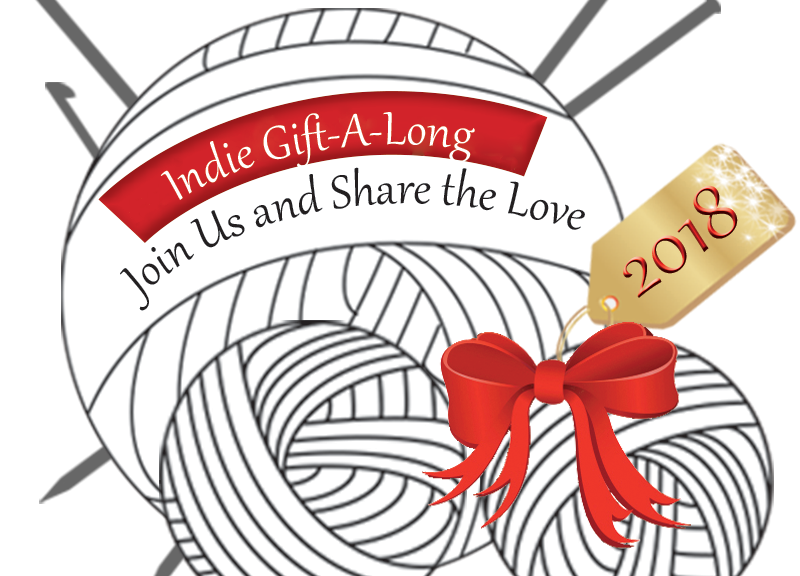 The Indie Design Gift-A-Long is a 6 week long KAL/CAL of holiday gifts made from patterns designed by a rather extensive list of independent designers. 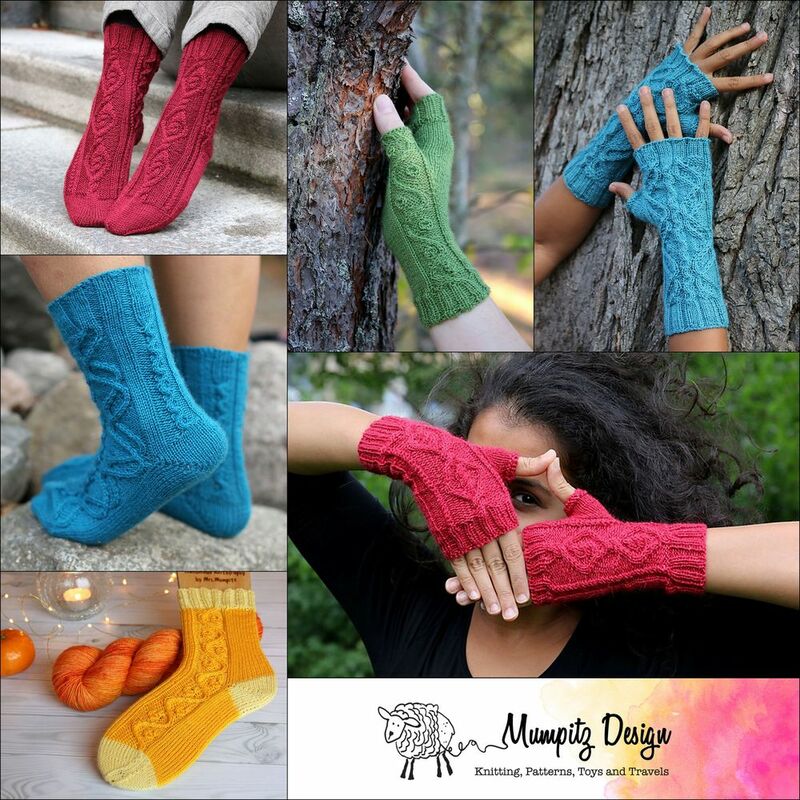 From November 23rd, 2018 at 8:00 pm US EST to November 29th at 11:59pm US EST tons of indie designers will be discounting between 10 – 20 of their patterns 25% for this event. Use coupon code: giftalong2018. From November 23rd, 2018 at 8:00 pm US EST to December 31, 2018 at midnight US EST there will be fun games, contests, and 8 KAL/CALs that will help you get your holiday knitting and crocheting done with companionship and fun! You can read all about the details on the FAQ page in our group pages. Once you’ve got your Gift-A-Long patterns, we encourage you to join a relevant KAL/CAL! (For instance, if it is a cowl, please join the Cowls, Scarves, & Other Neck Things KAL/CAL.) To join, simply write a post in the KAL/CAL thread you want to join, including the pattern name you will be knitting and a link to your project page. KAL/CAL participants are eligible for lots of lovely prizes but you’ve got to post to win Please Note: all prize winners must be group members! KAL/CALs will run from November 23rd, 2018 at 8:00 pm US EST to December 31st, 2018 at midnight US EST, plenty of time to knock out all your holiday knitting and crocheting. We have tons of prizes, games, and great conversation, plus a lot of other fun, so pull up a chair and join us! But all items made from any of my patterns will be eligible to win prizes after the sales period! You can look through the Participating Designers Thread once the event begins in the Ravelry group. It’s easy peasy! Just put the patterns you want into your Ravelry shopping cart, enter and apply the code giftalong2018 between November 23, 2017 at 8:00 pm US EST to November 29th at 11:59pm US EST, and 25% will be automatically taken off the total price. Then join one of the KAL/CAL threads and away you go. PS: And for all of you who need quick gifts, I offer FREE WORLDWIDE SHIPPING on all orders from SEK500 / USD50 / EUR50 in my Etsy shop until the end of the year only!